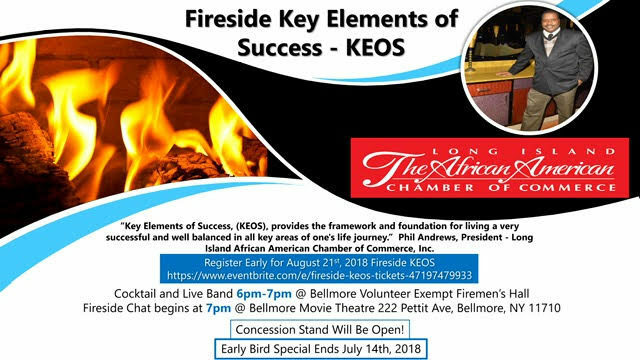 On August 21, 2018 New York State’s largest African American Chamber’s President Phil Andrews has been selected to participate in one of the most anticipated event of the year the 2018 Fireside KEOS Chat. Cocktails and live band 6:00pm to 7:00pm @ Bellmore Volunteer Exempt Fireman’s Hall. 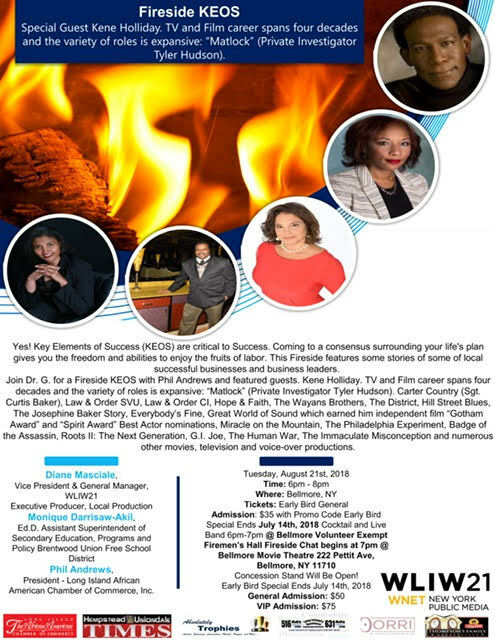 Fireside Chat begins at 7:00pm to 8:00pm @ Bellmore Movie Theatre 222 Pettit Ave., Bellmore, New York 11710. Concession Stand Will Be Open! Early Bird Special Ends July 14, 2018.